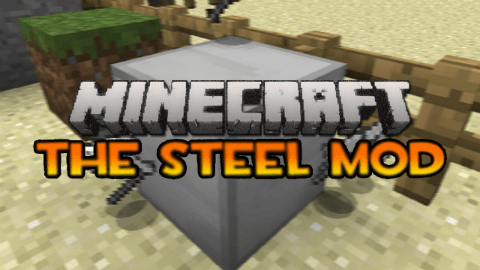 This mod, Steel Industries is focused on steel. Steel left, Steel right, Steel everywhere! Recipe for chain mail armor with (you guessed it!) Steel. Steel Armor and tools, somewhere in between iron and diamond. Steel Bars, same as Iron bars, but made from steel! Miners block, pure decoration, will be used to travel to another dimension once the code works! Steel Wand caps, with research, the same as iron caps without the discount.